This entry was posted on February 27, 2015 by Marco Rivera. Patch of Land (PoL) knows how important it is to have a reliable and efficient due diligence & underwriting process. Currently PoL implements traditional and non-traditional elements to our underwriting procedures. Some of the traditional methods include arms-length third party appraisals, commissioned by Patch of Land for a full walk-through and value analysis, pulling comparable data and metrics to evaluate the local market, the performance of that particular asset class in that market, and the risk profile of the borrower. PoL also uses non-traditional methods to enhance the accuracy of our underwriting methods from a logistics point of view. In fact, we've created a due diligence engine with the ability to pull data from multiple sources, including major credit reporting agencies. 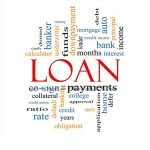 This various assortment of data is gathered and translated into proprietary information models, which is then used to do a multitude of things, such as assess risk, provide analysis summaries, pre-approve a wide variety of loan requests, and extend automatic terms to existing borrowers for new projects. Our expert underwriting staff is able to use this procured data, in conjunction with traditional underwriting methods, to create an internally-developed scoring system, allowing efficient decision-making on lending. Furthermore, PoL believes in being as transparent as possible. Therefore, we provide investors with all the information we have on our investments, that way they can perform their own due diligence on the properties and not have to rely solely on our analysis. We allow access to our underwriting criteria, supporting documentation, analysis of risks, as well as updates to each deal during the lifetime of the loan. By allowing investors to pull our data, they feel confident and believe they are always making a secure investment whenever they invest in a Patch of Land project. As we progress, we will continue to build upon our due diligence and underwriting technologies to better serve our borrowers and investors. This entry was posted in Q&A From the Patch, Video and tagged loan originations, scaling, due diligence, underwriting process, technology on February 27, 2015 by Marco Rivera.